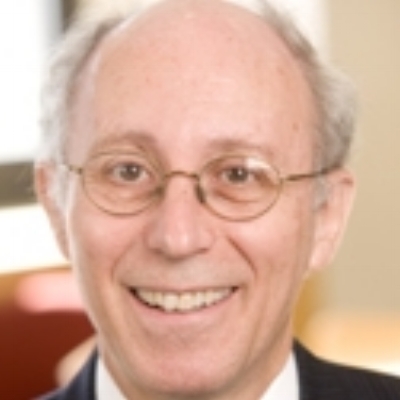 Rabbi Bob Kaplan is currently the founding Director of The Center for Community Leadership, a division of the Jewish Community Relations Council of New York (JCRC-NY), the central coordinating and resource body for 62 major Jewish organizations in the metropolitan New York area. Mr. Kaplan is involved in a variety of issues including conflict resolution, coalition building, interracial/inter-religious relationships, combating hate crimes, and community building. He has served on the Board of Habitat for Humanity- NY and Health Plus and currently serves on the Boards of the Lutheran Medical Center and the Lutheran Family Health Care Centers as well as the Board of the Center of Ethnic and Community Media at the City University of New York. Amongst the leadership initiatives he has founded are; YouthBridge-NY, the We Are All Brooklyn, and Queens, We Are the Bronx, Community Connections, and Haitian Leaders Fellowships. Karen received her Bachelor’s of Psychology from Binghamton University in 2007 and her Master’s of Social Work from Wurtzweiller School of Social Work in 2009. Prior to joining JCRC-NY, Karen worked in an adult day program with individuals with intellectual and developmental disabilities offering them a comprehensive range of services to help them achieve the fullest quality of life. Karen joined JCRC-NY as a social work intern in 2008. She served as a community organizer for several NORCs (Naturally Occurring Retirement Communities), helping to launch numerous programs that continue to help older adults access community resources and lead a better quality of life. In 2011, Karen joined YouthBridge-NY as its Program Director, and she has been here ever since. She finds working with teens empowering and rewarding. Her mission is to make the world a better place and, through the efforts and dedication of its young leaders, she is fulfilling her dream at YouthBridge-NY. Karen was awarded the 36 Under 36 Award by the Jewish Week in 2017. Karen currently lives in Astoria, NY. She loves to cook and play video games. Samantha received her Bachelor’s degree in International Relations and Spanish from the State University of New York at New Paltz in 2018. During her four years, she became committed to building positive community relations locally and abroad. As a junior, Samantha worked closely with university faculty to start an ENL volunteer program consisting of students to teach English to native Spanish speakers in Kingston, New York. Her passion for getting involved in communities took off from there. In the summer of 2017, Samantha participated in a service learning trip to Guatemala which focused on expanding indigenous communities’ access to vital resources. Later that summer, Samantha volunteered at CONIN, a not for profit health organization in Argentina, which provided much needed access to doctors, social workers and food to low income communities outside of Buenos Aires. In the fall of 2017, Samantha joined JCRC-NY as an intern in the Israel and International Affairs department. She enjoys going to country concerts in the summer and traveling around Latin America and Europe.